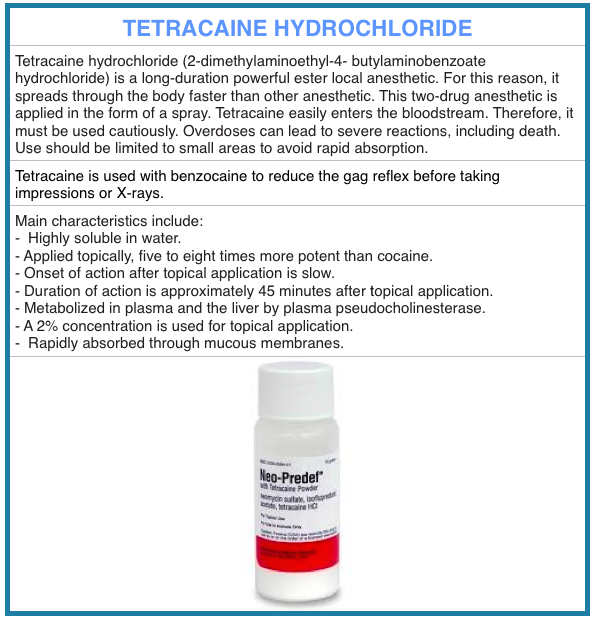 The use of topically applied local anesthetics is an essential component of the atraumatic administration of intraoral local anesthesia. Whether used alone or in combination with a local anaesthetic, topical agents have many applications and are important options in current pain control strategies. Conventional topical anaesthetics are unable to penetrate intact skin but they do diffuse through any mucous membranes. They are applied to skin surface to anaesthetize terminal nerve endings (2-3 mm). The American Dental Association recommends a 1-minute application time before the procedure. Additionally, studies (Gill and Orr) demonstrate that when topical anaesthetics are applied according to the manufacturer’s instructions (approximately 10 to 15 seconds), their effectiveness is no greater than that of a placebo, especially for palatal injections. Stern and Giddon showed that application of the topical anesthetic to mucous membrane for 2 to 3 minutes leads to profound soft-tissue analgesia. 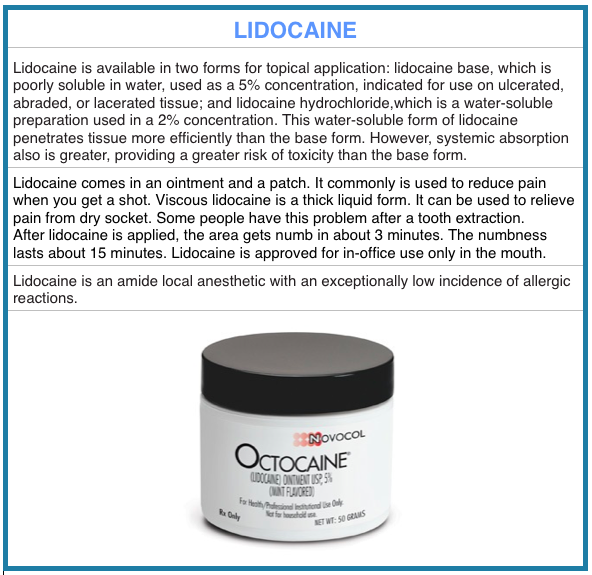 Topical anaesthetics usually are effective for 15 to 30 minutes. The concentration of a local anesthetic applied topically is typically greater than that same local anesthetic administered by injection. The higher concentration facilitates diffusion of the drug through the mucous membrane. Higher concentration also increases the risk of toxicity, both locally to the tissues and systemically. Because topical anesthetics do not contain vasoconstrictors and local anesthetics are inherently vasodilators, vascular absorption of some topical formulations is rapid, and blood levels may quickly reach those achieved by direct IV administration. A variety of topical anesthetic agents are available for use today. Most contain the ester local anesthetic benzocaine. 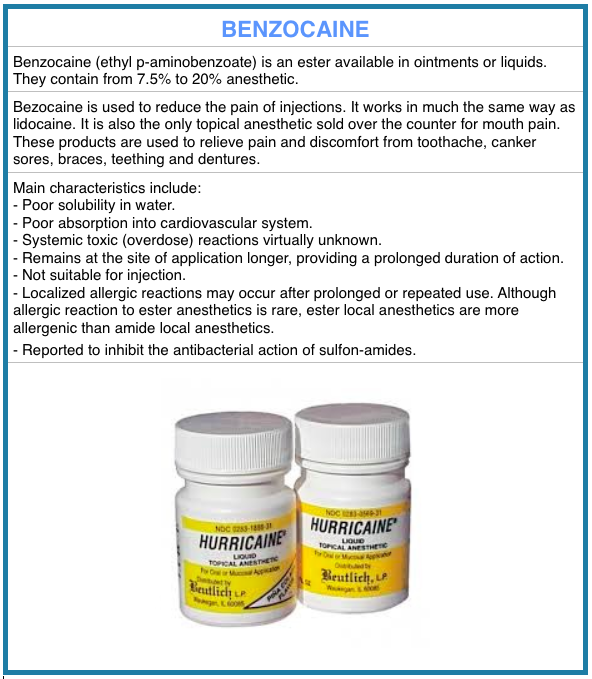 The likelihood of occurrence of allergic reactions to esters is significantly greater than that to amide topical anesthetics; however, because benzocaine is not absorbed systemically, allergic reactions usually are localized to the site of application. 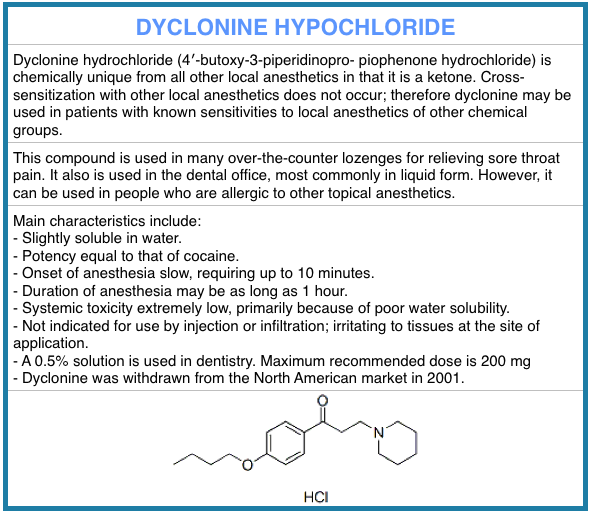 Of the amides, only lidocaine possesses topical anesthetic activity in clinically acceptable concentrations. – They can be toxic if applied across a large area, This is particularly a danger for tetracaine, because it is easily absorbed. In January 2009, the FDA issued a health advisory to remind consumers and health care providers that improper use of topical anesthetics can cause serious side effects. The FDA advised against using these products over large areas of skin, or covering the area after they are applied. – Some people are allergic to the drugs, flavourings or other ingredients. 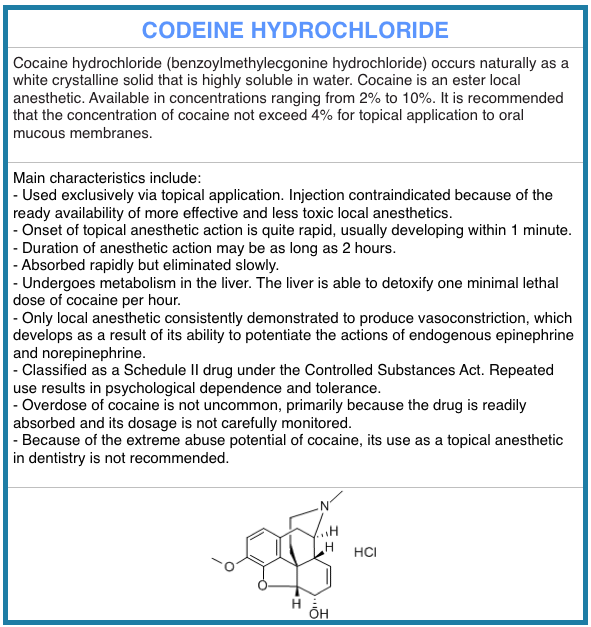 – Most topical anesthetics have not been tested in very young children (under 1 to 2 years of age) or the elderly. These are rare and usually mild, but severe reactions have been reported. A mild allergic reaction can include swelling and raised welts on the skin that can itch or burn. Some allergic reactions occur up to two days after the anesthetic is given. To prevent these problems, follow the instructions on the drug’s package. - Bennasr S, Magnier S, Hassan M, Jacqz-Aigrain E: Anaphylactic shock and low osmolarity contrast medium, Arch Pediatr 1:155-157, 1994. -  Malamed SF: Handbook of local anesthesia, ed 1, St Louis, 1980, Mosby. -  Gill CJ, Orr DL II: A double blind crossover comparison of topical anesthetics, J Am Dent Assoc 98:213-214, 1979. -  Stern I, Giddon DB: Topical anesthesia for periodontal procedures, Anesth Prog 22:105-108, 1975. -  Fetzer SJ: Reducing venipuncture and intravenous insertion pain with eutectic mixture of local anesthetic: a meta-analysis, Nurs Res 51:119-124, 2002. -  Taddio A: Pain management for neonatal circumcision, Paediatric Drugs 3:101-111, 2001. -  Bernardi M, Secco F, Benech A: Anesthetic efficacy of a eutectic mixture of lidocaine and prilocaine (EMLA) on the oral mucosa: prospective double-blind study with a placebo, Minerva Stomatal 48(1-2):39-43, 1999. 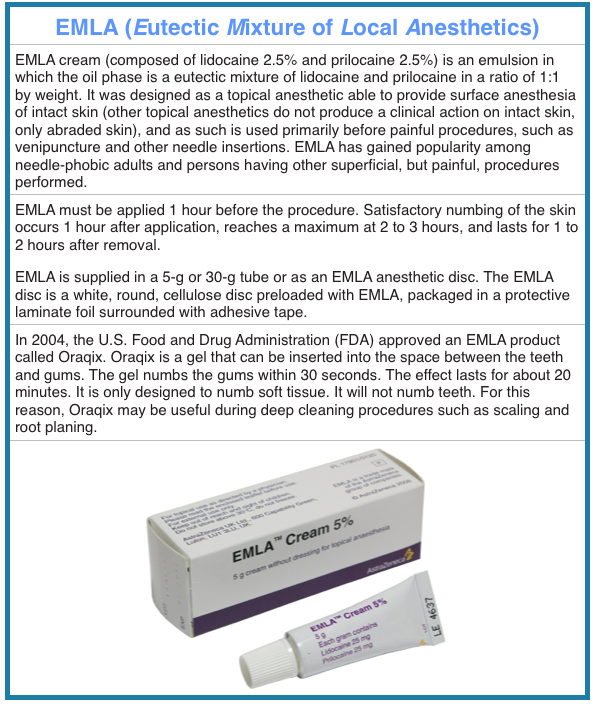 -  Munshi AK, Hegde AM, Latha R: Use of EMLA: is it an injection free alternative? J Clin Pediatr Dent 25:215-219, 2001. - ADA/PDR guide to dental therapeutics (5th ed.). (2009). Montvale, NJ: Thompson PDR. - Alston, T. A. (1992). Antagonism of sulfonamides by benzocaine and chloroprocaine. Anesthesiology, 76, 375-476. - Bernardi,M.,Secco,F.,& Benech,A. (1999).Anestheticefficacy of a eutectic mixture of lidocaine and prilocaine (EMLA) on the oral mucosa: Prospective double-blind study with a placebo. Minerva Stomatal, 48, 9-43.